I like to cut and paste: Favorites are Back! 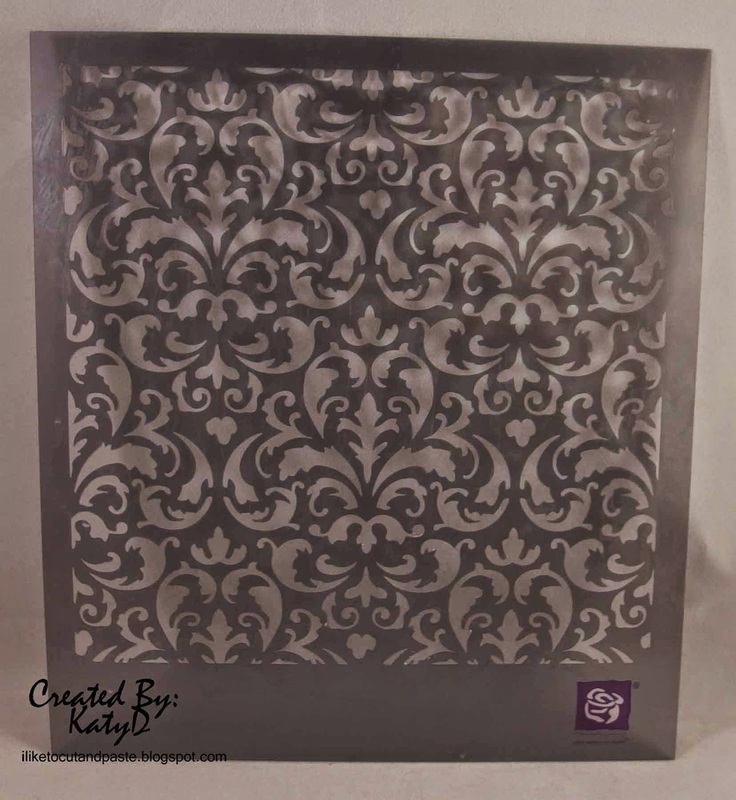 Awhile ago at Scrap It Girl we would share our Favorites with you. Favorite inks, pens, stamps, etc. And then it sorta went away---BUT it's BACK! :) Yay! I love sharing with you my favorite things and love seeing what the team and you share. So here is my newest favorite. It's from Prima and it is so pretty. I love to use it behind photos. Let me show you! 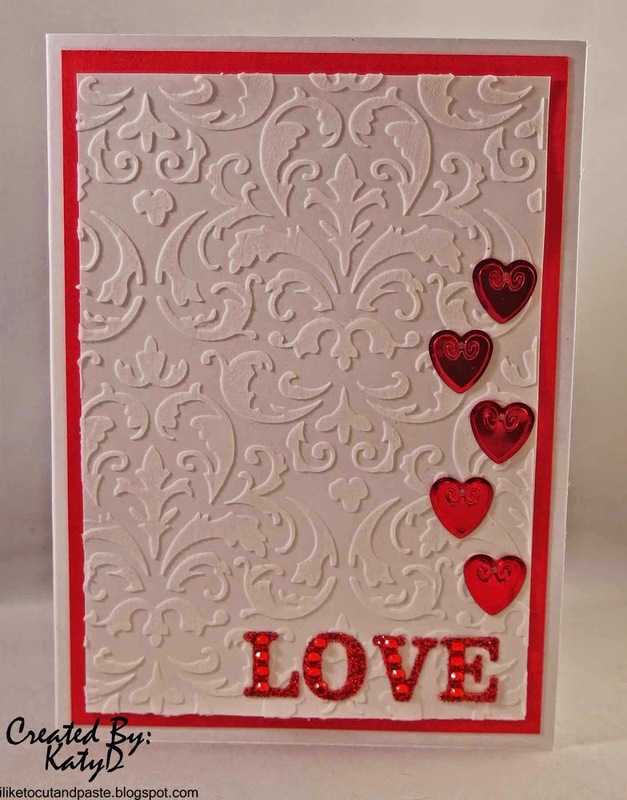 Here is a Valetine's Day card that I made using this stencil. So elegant! And here it is behind the photo. Love! Thank you for stopping by! Be sure to check out Scrap It Girl to see the team's favorites! And share yours! Fabulous projects!!! 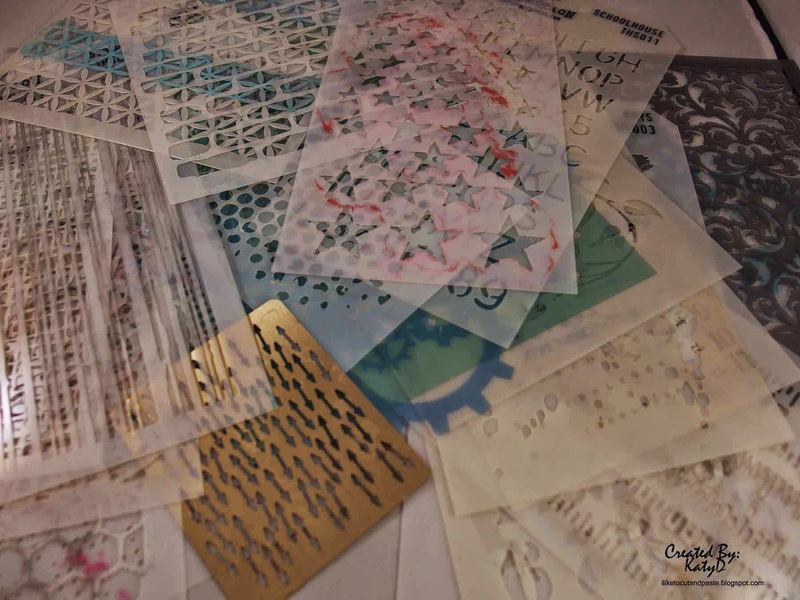 LOVE your stencil and how you used it. 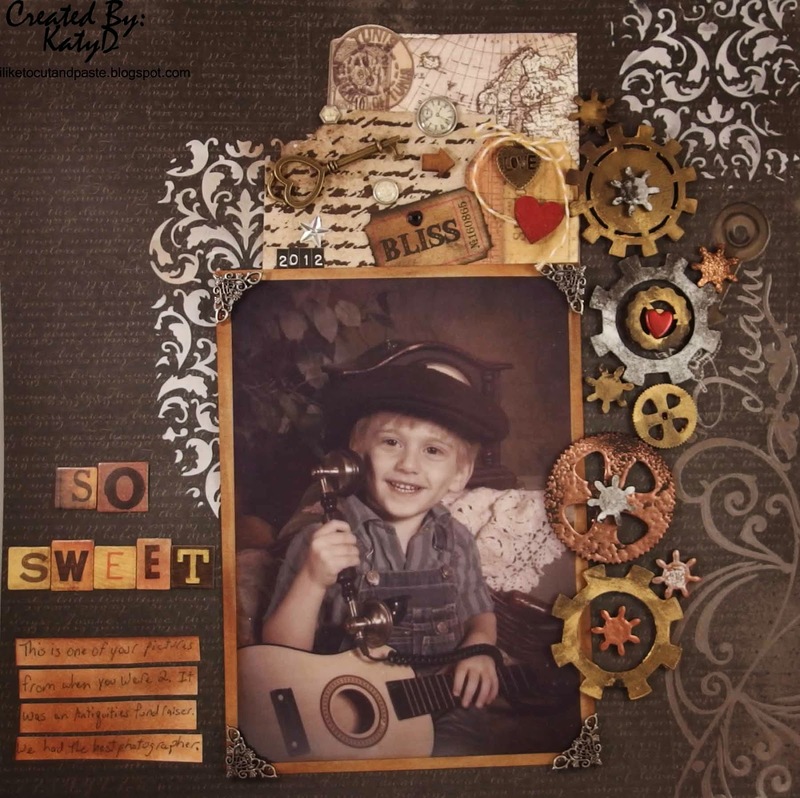 The embellishments and colors on your layout are fabulous!! Love love love your card and your lo!! GORGEOUS!!! !